This week’s topic for the Virtual Curriculum Fair is math. I love math. However, my love of math doesn’t equal a love of teaching math. 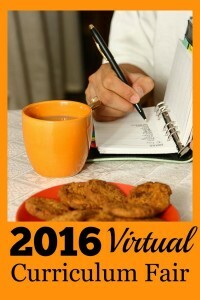 I have written quite a bit about math during my years participating in the Virtual Curriculum Fair. In fact, I’ve written so much, that I don’t have anything further to add to this topic today. Instead I will share some of my previous thoughts. 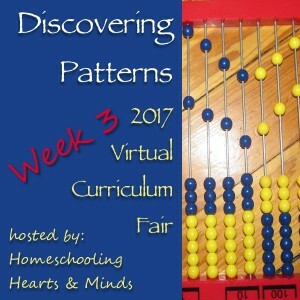 In From Counting to Calculus I discussed much of what I’d learned about teaching math during my first 13 years of homeschooling. I’m not afraid to admit that I don’t have the answers in The Post Where I Admit I was Wrong. For some background on my math background, see How I Choose Math Curriculum. Even though I didn’t have much new to add to this topic, I’m sure that the other participants can add a lot more to this topic. Be sure to check out their posts below. I would like to begin this week’s submission to the Virtual Curriculum Fair with a disclaimer. I am not an expert on special education, and I have no training in teaching children with reading delays. What I have is experience with my own 14 year old son who is on the autism spectrum. However, we have not found any perfect solutions to his reading delays, and we’re still plodding along this educational journey. We knew that William, our 3rd child, was different from our older children by the age of 3 or 4. There were several little clues. (For the sake of brevity and keeping to the topic of reading, I’m only going to discuss differences in the area of reading and reading readiness.) One is that William was a late talker, but not alarmingly late. He liked to look at books and be read to, but at the age of 4, I realized that he wasn’t learning things that my older two had learned naturally. For example, he could sing the alphabet song, but he couldn’t recognize the letters and didn’t know any of the corresponding sounds. However, reading is not just decoding. William is a pretty good decoder. What he lacks is reading comprehension. Sadly, his reading comprehension level has not improved very much over the years that he’s been successfully decoding words. His lack of comprehension has negatively impacted all his other school subjects because reading is an integral part of most curricula. Even in math, he struggles with understanding the instructions. Word problems are a big issue. A huge portion of history and science knowledge is most easily acquired by reading. This delay has left William with deficits in all areas of his education. I’ve tried a few different strategies and ideas over the last several years, but the main thing that I’ve done is wait. I work through his math word problems with him. He’s learned science through videos and a small amount of history from audio books. I guess I’ve been hoping that one day the reading comprehension will just be there. I’m not saying it wasn’t a good idea to wait. However, the time has come to revisit some of the former things we tried briefly and give them more time to see if they help. I think that I tend to expect results quickly or at least some indication of positive results and am discouraged without that. I doubt I’m alone in that desire. Here are some things that I am or will be trying. I haven’t decided how much to do at once. Right now, I’ve only started on number one. Reading Detective – This is a program from The Critical Thinking Company. I bought this a couple of years ago and tried about 2 lessons then put it away because it was too frustrating. I pulled it out again last week and tried the 3rd lesson. As much as I want this to be an independent activity, I can see that for this to work, I’m going to have to guide him through this for a while. Immersion Reading with Kindle books – This is something I also started a couple of years ago, but with technical difficulties I didn’t continue to use it. I am ready to start this again. I know immersion reading has been tremendously helpful to other struggling readers. Visually appealing factual books – I have some great Usborne and other books that I need to subtly encourage William to read. Short snippets of text for gleaning facts that he’s interested in can help him to enjoy reading and increase his confidence. Brain Balance Therapy – I read Disconnected Kids by Dr. Robert Melillo a couple of years ago and found that his ideas made a lot of sense. Part of me wants to try the exercises, but another part of me is hesitant. I think, “What do we have to lose?” but then also worry about my trying to “fix” him. I will be looking over the book again trying to decide whether to try it. 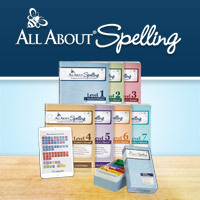 Do any of you have experience with teaching reading comprehension? What are some strategies that have helped your student? 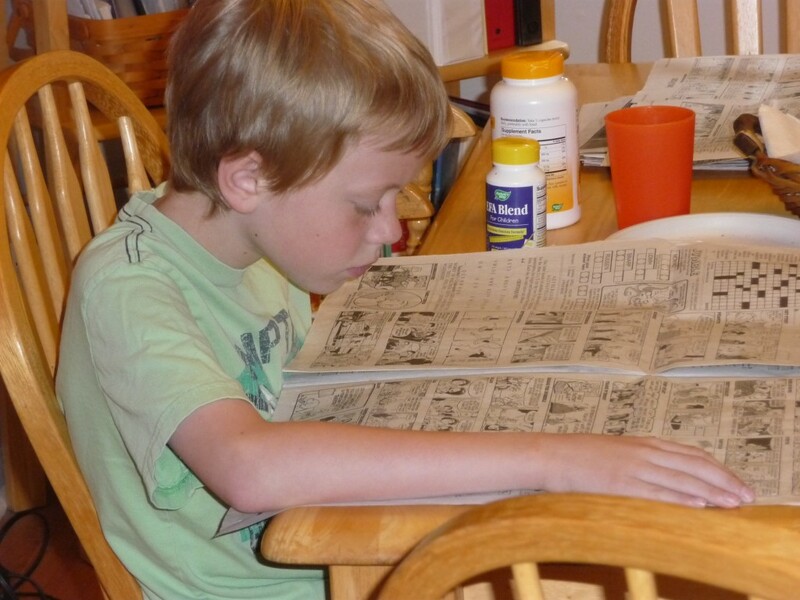 I’m continuing my look back over the 13 years of homeschooling my oldest son, David. 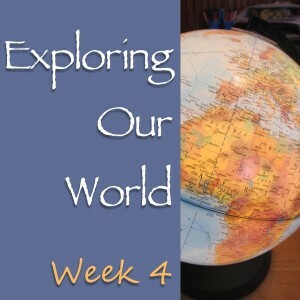 This week the Virtual Curriculum Fair focuses on Exploring Our World. I think that my statement of Starting Gently, Finishing Strong, may be less applicable to this topic. We did indeed start gently. We used Story of the World in the elementary years and I thought it laid a good foundation for later history studies. 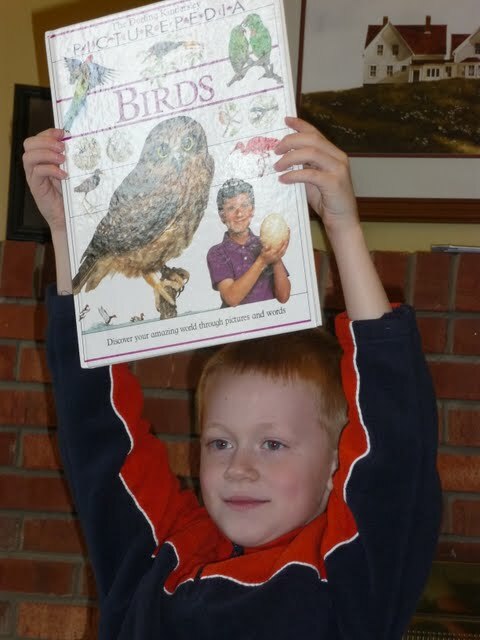 We used the Apologia Elementary science series and also enjoyed learning about plants and animals with that series. I do plan to use those books again, but I think I was a bit too concerned with remembering the facts. Not that I spent a lot of time drilling my older children on history and science facts, I didn’t. But it was something that I always felt that I should be doing more of. We’ve always managed to complete the “skill” subjects while the “content” subjects took a backseat. I worried when it came to my attention that my children didn’t know their history dates. So when high school came, I decided it was time to really get serious about these subjects and make sure that we did them well. So we muscled our way through Notgrass World History and the Apologia Science courses. There wasn’t really much enjoyment there. Honestly, that was not what I had envisioned for high school. I wanted us to have discussions about history. I wanted my students to read real books and original source documents. I pictured complex science fair projects with original research. OK, I know I dream big. 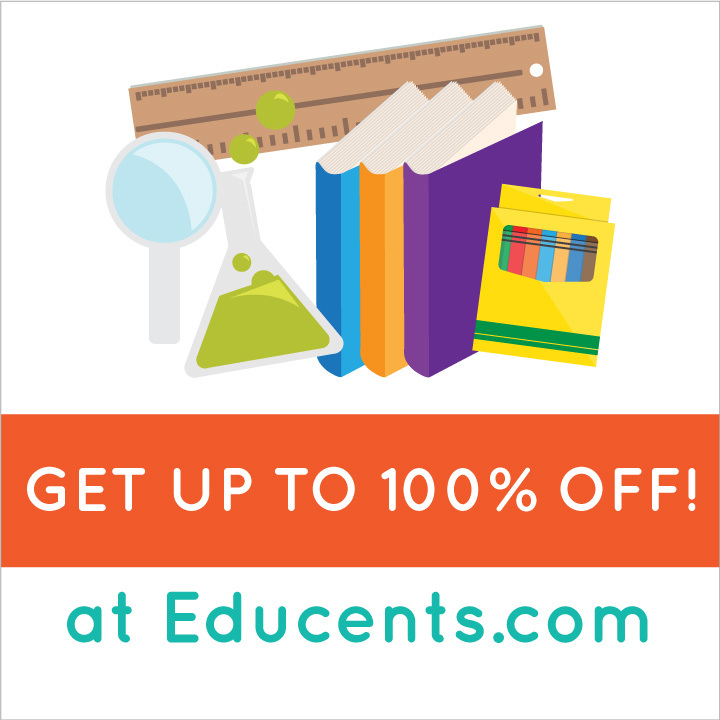 Easy access to resources and information about topics of interest. Time to explore those interests. David is currently taking Psychology at the community college. He has recently told me how much time he spent reading a book about the brain when he was around 8-10 years old. He was fascinated by the brain and how it works. He studied it so much at that time, that now, all these years later, he remembers studying many of the things he’s learning about in his class now! David had time to read about the brain when he was younger. He had time to learn about making videos. Even in high school, he has spent countless hours researching topics for videos and making and editing those videos. He had time to spend doing things that he’s passionate about. And the kid who never showed any interest in social science has spent hours researching the presidential candidates. It turns out he needed a reason to be interested. Aren’t we all like that? Why did I expect my kids to be interested in everything? 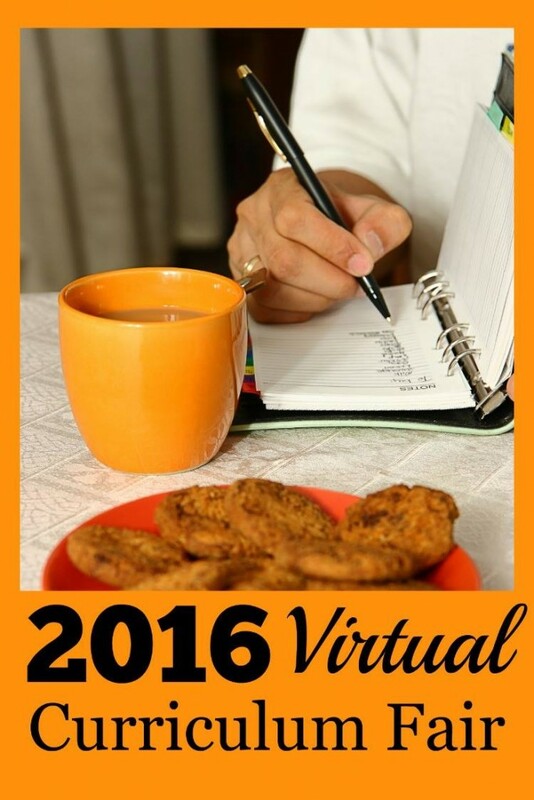 You can read other posts about Exploring the World at the 2016 Virtual Curriculum Fair. 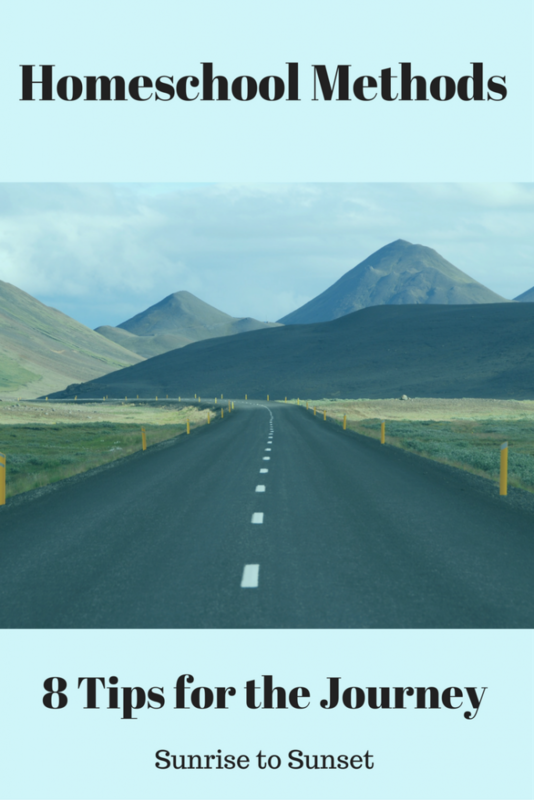 If you have a post to share about how you explore the world in your homeschool, you can add it to the link below. 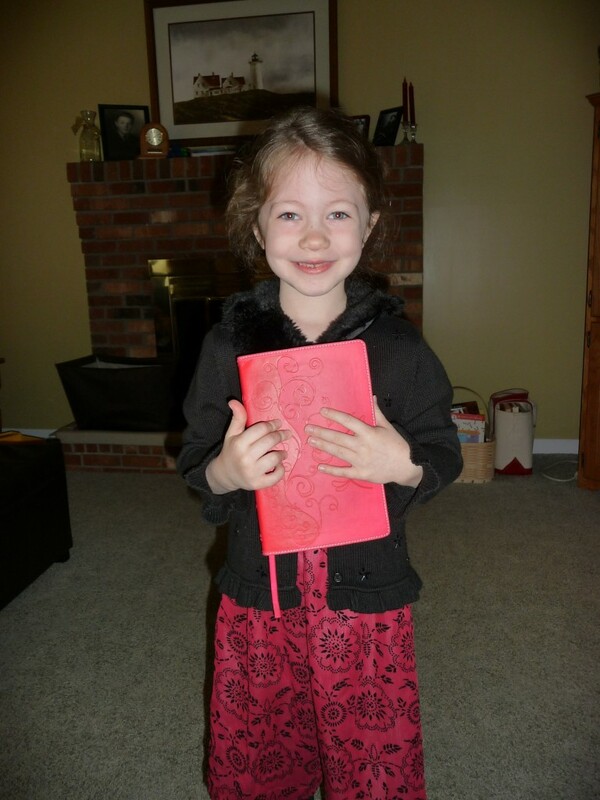 Last week I talked about my somewhat unusual position of graduating my first homeschool student this spring, and starting my (presumably) last student in Kindergarten this coming fall. David, my senior, is a math natural. But teaching him math was not without struggles. In fact, there were many battles fought over math.These included getting him to write anything down and memorizing math facts. He did however consistently demonstrate understanding of mathematical concepts. 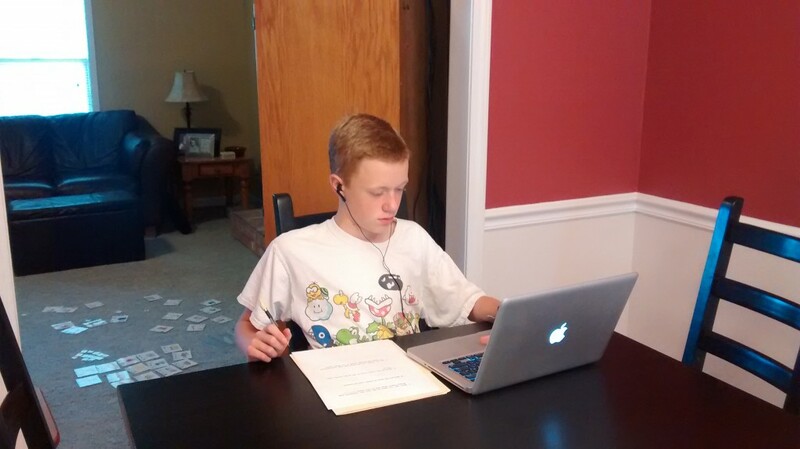 He was able to study Calculus on his own in our homeschool last year using Life of Fred, but we decided to have him study Calculus again this year at the community college. This post is still true for How I Chose Math Curriculum. With Andrew, I’m taking a similar approach to math as we are for reading. We are doing nothing formal, instead talking about numbers. He counts. He’s beginning to add. He’s even figured out how to add numbers when the sum is over 10 with his fingers. At this point, I plan on using the same Singapore and Miquon combo math that I used with the other children in elementary school. You know all those absolutely adorable preschool printables? It seems like every blogger has jumped on the free printable bandwagon. 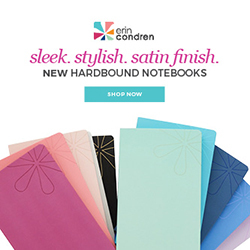 If you’re like me, you might be enticed by every cute and fun looking printable that crosses your inbox. Yes, you can use them if you want to. But no, you do not need them! I give you permission to ignore them. Really. I know it’s tough, but many of those take more time to prepare than they provide in value. Before you print, think about whether or not you can practice that skill orally or on a white board. What if my child doesn’t get math? OK, I admit it. Everyone is not equally gifted in math. My ultimate goal is still mathematical understanding, but with my middle son, I’ve had to take a different approach. I explain about it here in The Post Where I Admit I was Wrong. I have the same general plan for homeschool math for Andrew as I had for David. I plan to use programs that stress exploration and understanding. I do hope that I can encourage Andrew to memorize his facts better than David did, but I also hope to do so without all the tears. (Mainly shed by me!) Math is important, and I will make sure it gets done, but I think seeing the end will help me to be patient along the way. 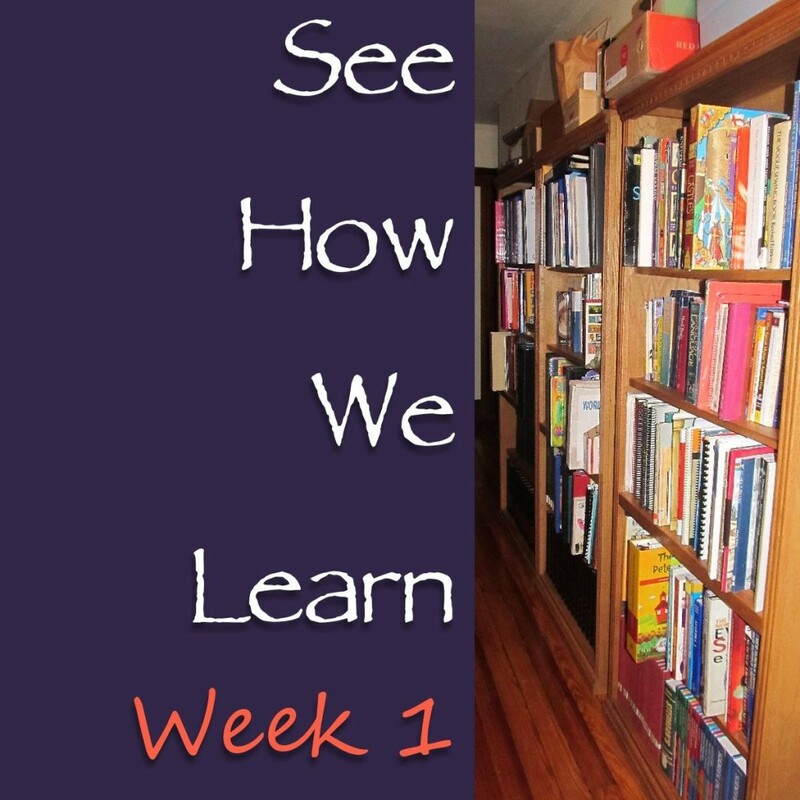 Here’s last year’s post for the Virtual Curriculum Fair: If I Knew Then, What I Know Now. 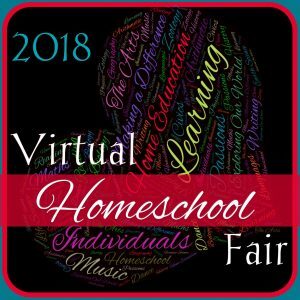 To read more about how to homeschool math, check out these other posts in the Virtual Curriculum Fair. Missed the deadline? Share your link here! I think I’m in a somewhat unusual situation this year. I am graduating my oldest student this spring. This will mark the end of the homeschool journey that started with him over 13 years ago. But as we’ve gone through all the college application process and getting ready for the next stage of his life, I have a 5 year old waiting to begin the homeschool journey. (Officially anyway. Children are learning since birth.) So as I’m finishing the race with one student, I’m also preparing to start all over again with my youngest. I get the opportunity to look back over what I have done with David over the last 13 years and think about what I would like to do differently this time. This is the first week of the Virtual Curriculum Fair and the focus is Language Arts. 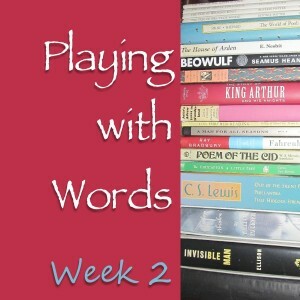 So I am going to start this series with thinking about language arts. In David’s 9th grade year, we tried to do some literature study at home. And while he did read the books, overall it was a flop. Literature classes became a priority when we began to search for outside classes. Amazingly, that was just what he needed. Does he love literature? No. But the discussion environment, the concrete deadlines, and a different teacher made a huge difference. This year he completed an English composition class at our local community college and earned an A. He was able to do well because we had built a strong foundation in English in the elementary and middle school years. We used a variety of curriculum including Rod & Staff and Analytical Grammar. I really liked IEW for writing instruction. 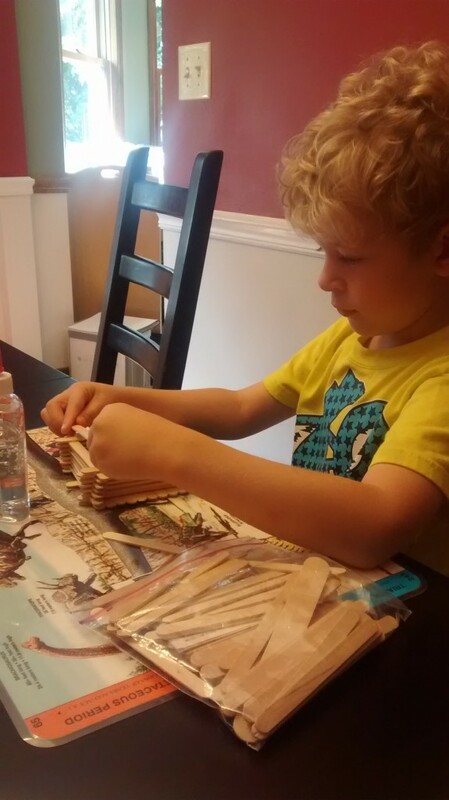 David was ready to read at age 4 and I was a brand new homeschool mom itching to get started. So we began reading instruction. Andrew is also ready to read. But we haven’t started anything formal. We’re sticking with reading aloud and just talking about letter sounds and rhyming words. We look at words and work on sounding them out. I know now that an early start in reading is not going to result in long-lasting higher reading achievement. I do plan on beginning kindergarten this fall and will use some of the same books I used for David, like Alpha Phonics and Handwriting without Tears, but I plan on being a lot more relaxed and flexible than I was 13 years ago. Now that I’ve made it through this marathon once, I know that it’s ok if our pace is different. There are times and seasons when much progress is made, and others where growth is not as evident. I don’t want to rush through these early years, but savor them. This year the Virtual Curriculum Fair is hosted by Laura @ Day by Day in Our World, Chareen @ Every Bed of Roses, and Kristen @ Sunrise to Sunset. 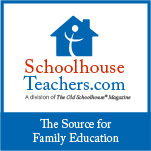 Visit these blogs to read about Language Arts in their homeschools.